It's been a while since I've utilized this feature of Pisteuomen, but I'm proud to resurrect it and bring it back to life, the feature is: A Beginning Blogger. I started this feature for the following reasons (here's what I wrote in the initial piece about it): "...I realize how tough it is to get people to visit your site, comment, add you to their blogroll, etc. Now, I've done a lot to make my blog both resource and user-friendly and I believe that's contributed to its success but it might have also helped if some more well-known persons helped draw attention to Pisteuomen. Well, with the conviction that the biblio-blogosphere is not about constantly catering to the egos of a select few or having to be around for years in order to make it (among other things, like creating a resourceful, edifying online community), I thought I'd add this feature." 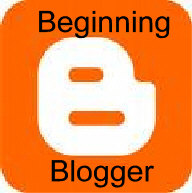 The Beginning Blogger that I'd like to mention today is Daniel J. Levy. Daniel maintains the blog "Christ My Redeemer." Here's his impetus for blogging: " My sole purpose for this blog is to help people gain a more intellectual and spiritual depth to their relationship with Christ." Daniel, who looks like a rocker from an 80's hair band, says of himself: "My name is Daniel James Levy and Christ is my redeemer. Beyond the knowledge of this, any accomplishment I've done would be said fitly in the words of St. Paul "I count everything as loss because of the surpassing worth of knowing Christ Jesus my Lord." Because of my desire to know Christ with all of my faculties (heart, mind, soul, and strength) I embarked three years ago on an adventure of studying theology, philosophy, science, history, and the Christian mystics. Through the study of these disciplines and the Holy Spirit I have fallen deeper in love with Christ. To add, I'm a youth pastor at Grace Church Assemblies of God and a theology major at Southeastern University." In terms of blogging, so far, Daniel has written several posts on NT Wright, The Kingdom of God and some book reviews. 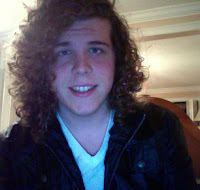 Be sure to give his blog a look and leave him a word of encouragement!